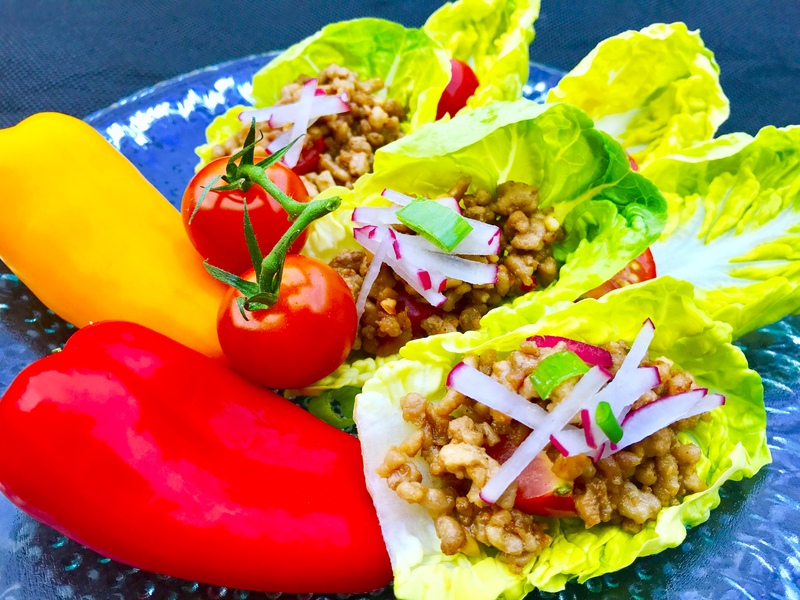 -Prepare the little gem lettuce, cherry tomato on the serving plate. Set a side. -Put the coconut oil, garlic, chilli and gently fry in a shallow pan. -Add the mince pork in the same pan. Then fry until the pork is cooked. -Add the fish sauce, dark soy sauce, sugar, coconut sugar and coconut milk into the same pan. Keep stirring until the liquid mixture is absorbed in the mince pork. -Keep stir-frying until the mince pork becomes well done, dry and turns to golden brown in colour. Usually, it will take approx. 20 minutes from the starting point. -Add the peanut butter into the same pan. Mix all the ingredients well. -Transfer the delicious cooked mince onto the salad plate and enjoy this warm satay salad. 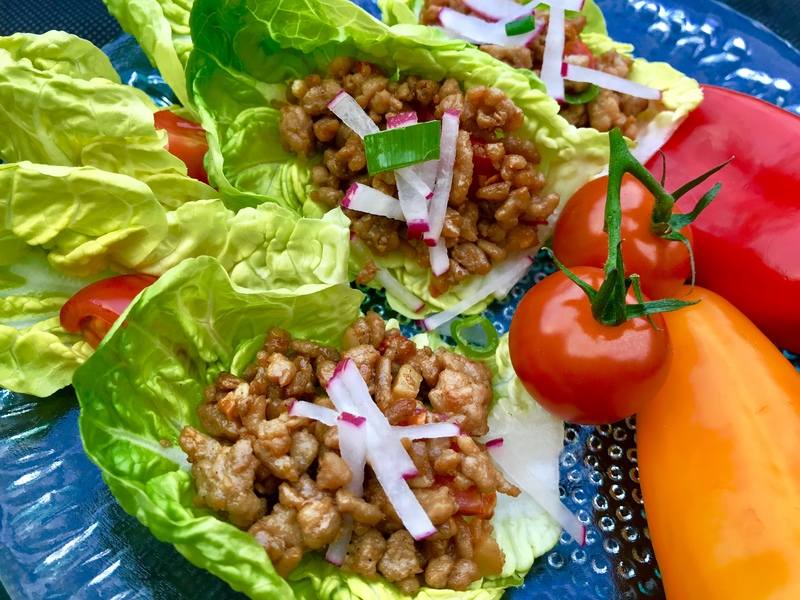 -Garnish Warm satay salad with mince pork ,with radish and spring onion and serve immediately. – Once add the peanut butter into the pan. Make sure you keep stirring until all the ingredients combined. The peanut butter will not only add the crunchiness but also the shiny glazed on the mince. – Enjoy this Warm Satay Salad With Mince Pork with with sweet chilli sauce for extra seasoning.